It's the first deal to be signed in China and could have massive ramifications for the industry. The Hyperloop race is much of a political battle as it is a technical one, with companies grabbing territory like players starting a game of Risk. Hyperloop Transportation Technologies, the crowdsourced enterprise that has lagged behind rivals in some respects, may have scored a crucial victory. The company has signed a deal to build a track in the Chinese province of Guizhou, home to the Guiyang Technological Development Zone. The route itself will be located somewhere in Tongren, a prefecture in eastern Guizhou, and will cover an initial distance of 10 km (6.2 miles). There's no indication of if the line will connect two significant landmarks or areas, at least not at this early stage. At that short distance, it's not likely that the tube will be able to reach the speeds that Hyperloop promises, at least on paper. As part of the deal, HTT will launch a Chinese entity -- standard practice, since foreign companies are rarely allowed to operate without some local connection. The crowdsourced enterprise will be responsible for designing the technology, providing the engineering expertise and designing "essential equipment." 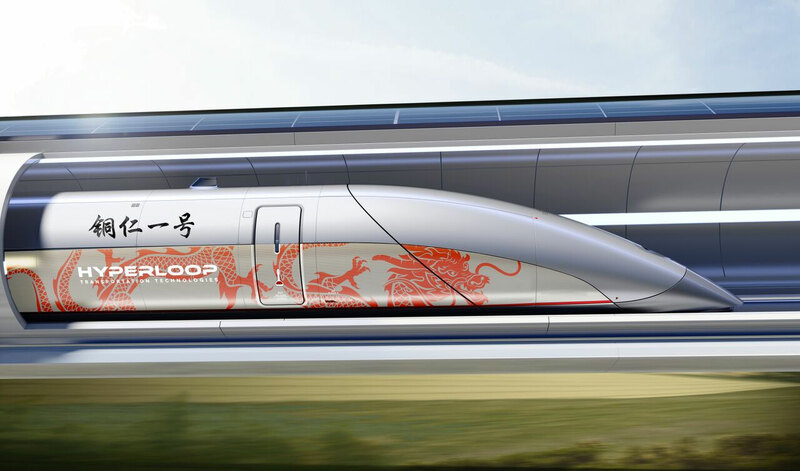 Which we assume is a euphemism for both the pods and maglev technology that HTT has licensed. On Tongren's side, the city and its people will be in charge of certifying the tube, building a series of regulations and actually building the thing. Financing for the project will be split 50/50, with half of the cash coming from the city, and the rest sourced from HTT, and/or investors. The Guiyang Economic and Technological Development Zone was created 18 years ago to lure tech companies to the region. That initiative has clearly been successful, since the provincial capital has attracted big names like Foxconn, Microsoft, Huawei, Tencent, Qualcomm and Alibaba. Tongren is a significant distance away from Guiyang, at around 400km (248 miles), and has what HTT CEO Dirk Ahlborn says is a "unique topography. "It's thought that the location was chosen to help refine various construction methods and develop a system that works in multiple terrains. Not to mention that it gives HTT a foothold in China, a country with deep pockets for infrastructure spending. China, meanwhile, will get the benefit of being able to test out a new transportation system in relative peace. And if successful, this small tube could form the backbone of a longer network that shrinks journey times across the middle kingdom. Update: Hyperloop Transportation Technologies clarified that it intends to run the route as a commercial venture, rather than for testing.